As of December 18, Ohio’s National Guard facilities are no longer gun-free. The change is the result of a “security review and update,” which Governor John Kasich (R) ordered following the July terror attack on unarmed Marines and Sailors in Chattanooga. 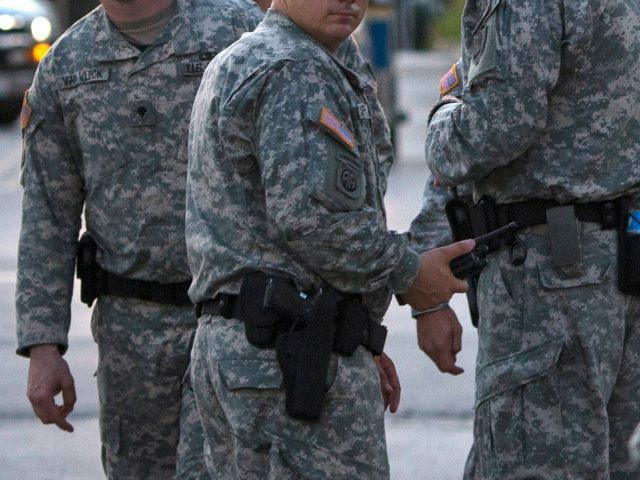 Ohio National Guard members had been unarmed until now due to “concerns about negligent discharges of firearms.” But the Dispatch reports that the combination of the Chattanooga attack, the 2013 assault on military personnel at the DC Navy Yard, and the heinous November 2009 attack on soldiers at Fort Hood changed everything. The carnage wrought on unarmed military personnel simply outweighed the concerns about an accidental discharge.